APEG serves Washington County as a JobsOhio network partner in economic development and with support from the SBA Regional Innovation Cluster Initiative for their forest and wood products businesses. This 85,700 SF warehouse features multiple office locations including a 2nd floor mezzanine and additional 3rd floor area. 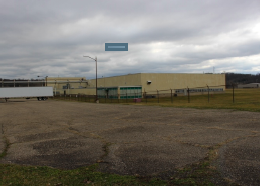 The building is suitable for warehouse, production and storage and is located with 5 miles of I-77.